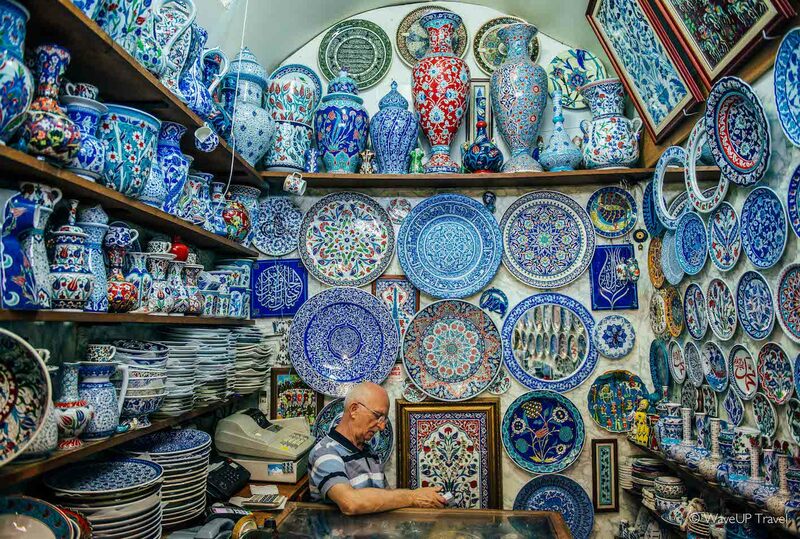 On any trip to Istanbul – whether you want it or not – eventually you are going to end up in one of the numerous Turkish bazaars. 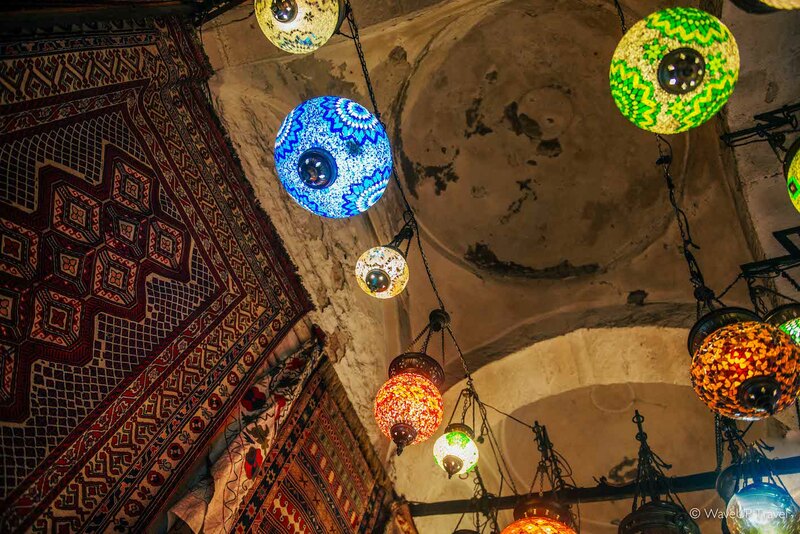 The most majestic of all – Grand Bazaar, the heart of old Istanbul. Buzzing, noisy, chaotic and colorful it attracts thousands of tourists and locals every day. 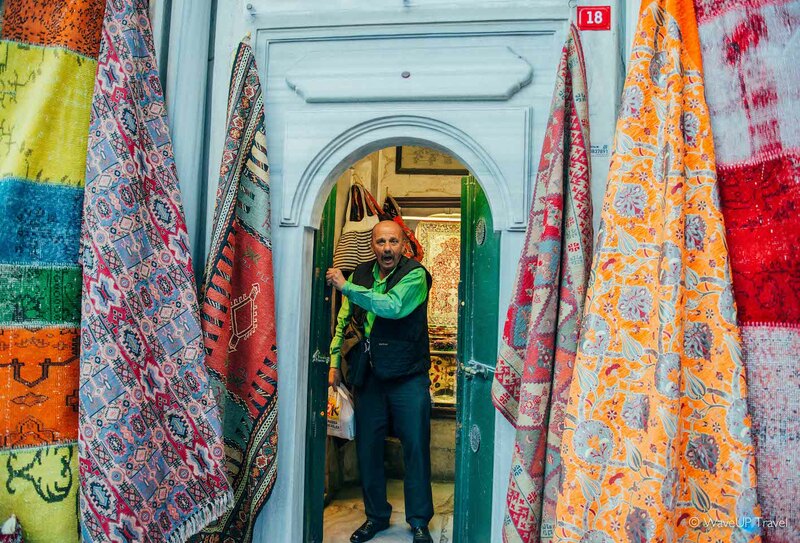 Time flows differently here – and you can spend hours wandering around narrow laneways, watching artisans at work, bargaining with local shopkeepers – or just drinking tea quietly observing the never-ending bustle. It is also called Kapali Carsi – “covered market”. 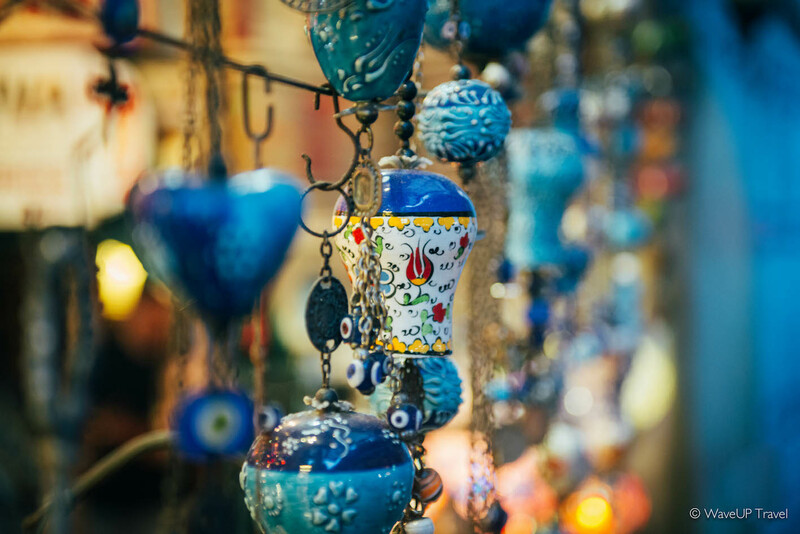 Grand Bazaar is one of the major Istanbul sights and attract between 250,000 and 400,000 visitors per day. 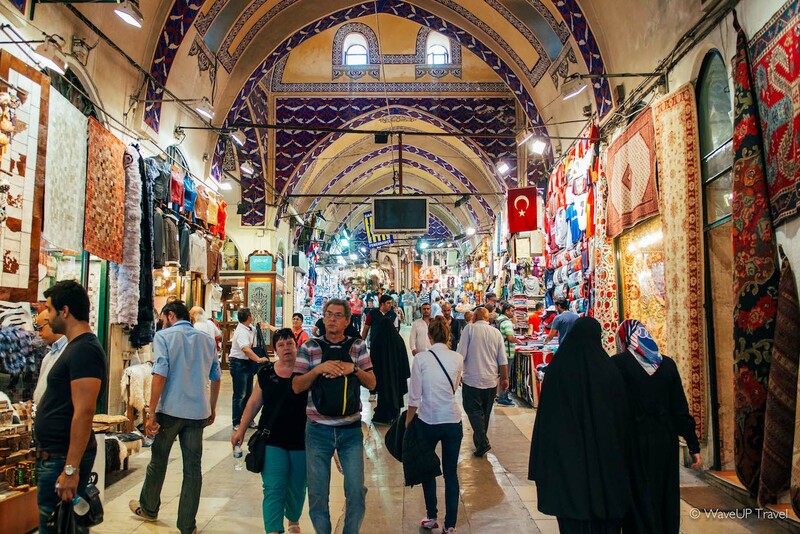 In 2014 Grand Bazaar was listed No.1 among world’s most-visited tourist attractions. The place is quite popular even among locals: they come here to find a good bargain or just pass the time away. 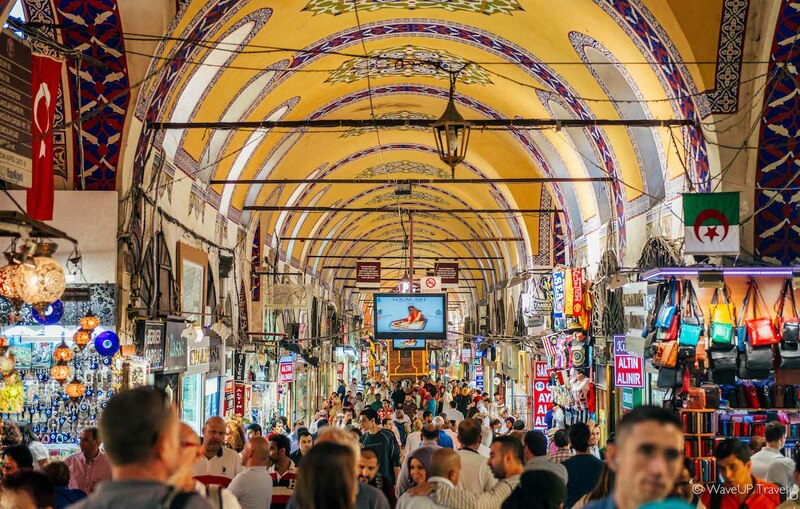 Grand Bazaar has an impressive number of 61 covered streets, 22 gates, over 5,000 shops, 20,000 employees, 4 fountains, 2 mosques – and even 2 hamams. 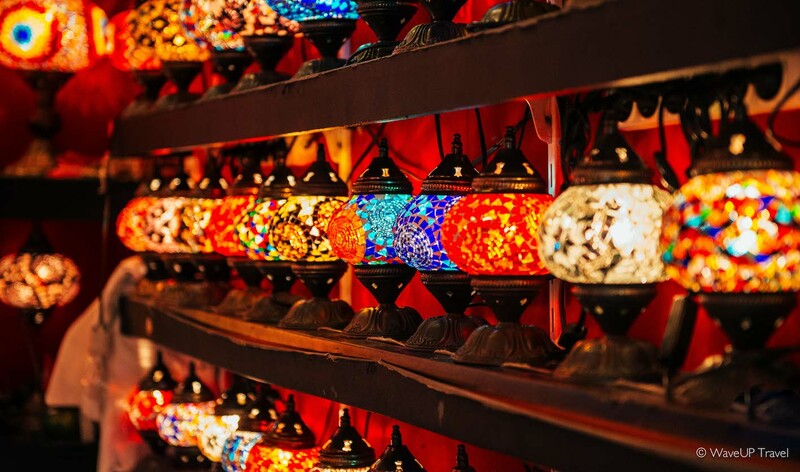 The market is known for selling spices, jewellery, pottery, antiques, carpets and – of course, an abundance of souvenirs. 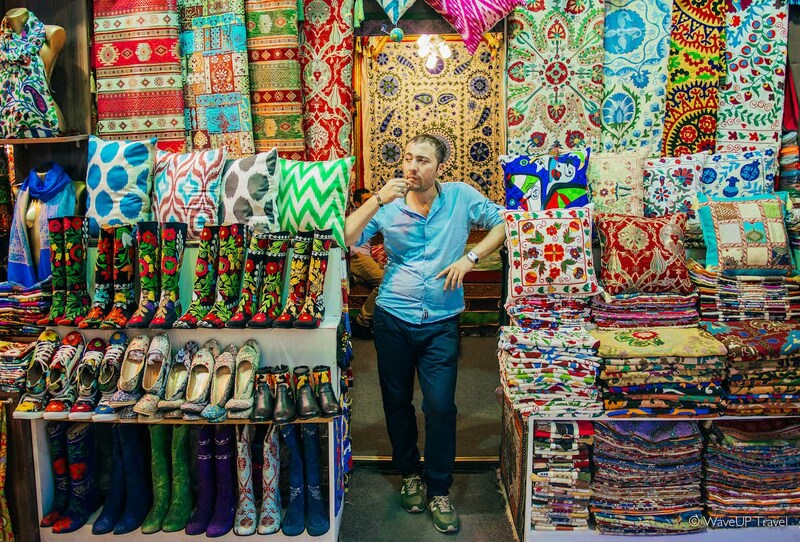 Many of the stalls here are grouped by type of goods with special huge areas for leather, carpets and gold jewellery. 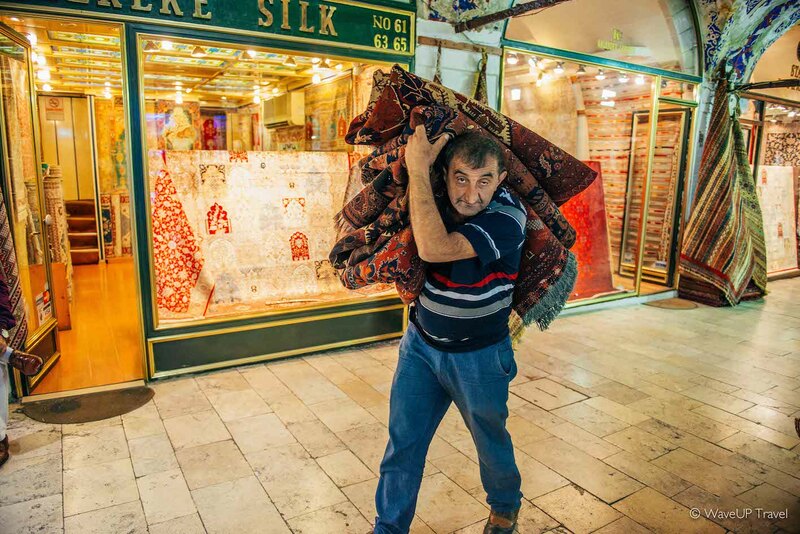 A retail heaven of 31,000 square meters with hundreds of insistent shopkeepers means that no visitor leaves without a souvenir. Visitors who wish to shop will have to test their bargaining skills. Bargaining here is a science. Don’t show too much interest, don’t rush, don’t be afraid. And – if offered – drink a tea or two with the shopkeeper. 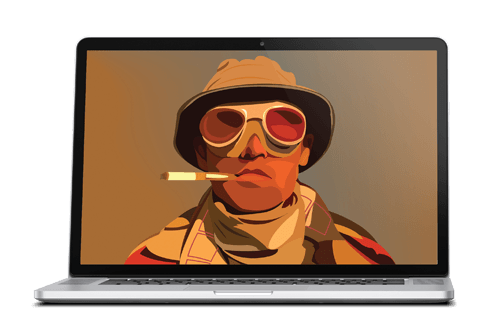 Raoul Duke is not an imagined character. He is an actual person. And every month he receives our new travel guides - right into his inbox.